A UNESCO World Heritage Site, Kaziranga National Park is the home to one-horned rhinoceroses. 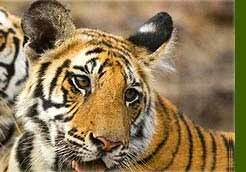 It is also the most fertile breading ground for endangered species like tiger, leopard and elephant and swamp deer. Housing one third population of total rhinoceroses of the world, Kaziranga also offers beautiful flora on Brahmaputra rivers. 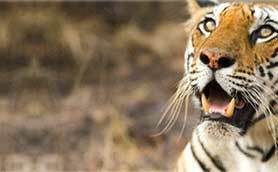 It is one of the most ideal places to explore the richest wildlife attraction and enjoying lots of recreational and adventure activities. Here, accommodation is not a problem. You will all range of resorts catering world class hospitality. The Wild Grass lodge is one of the attractive resorts designed on ethnic line. Located outside the park, the resort offers a complete rural settings depicting north-eastern hospitality. All around the resort, you will tremendous greenery which include more than 40 species of trees over 200 species of shrubs, creepers and climbers. Wild Grass Lodge has 18 double rooms in 2 jungle lodges, all are facilitated with hot/ cold waters, attached toilets and bathrooms, showers etc. It has a restaurant which offers mouth-watering three meals a day including tea and coffee of distinctive test. The resorts offers recreational activities on the demand of tourists which include sightseeing, wildlife viewing, Jeep Safari etc. Sprawling over an area of 32 bighas, Kaziranga Resort is an attractive place to stay in close proximity to the Kaziranga National Park. Equipped with all modern comforts and leisure, this resorts offers you an ideal place to cool off after your tiring journey and be ready to watch the one horned rhinoceros. The resort promise to make your vacation really a life time memory. The resort has theme based cottages. Cluster Cottages is a family stay accommodating 4 to 6 people. It is equipped with all modern amenities like europian bathroom, with hot and cold water etc. Kabri Cottage is intricately decorated with the capacity of 2 to 4 members. Honeymoon Cottage is specially designed for a newly wed couples in a typically Assamese style. 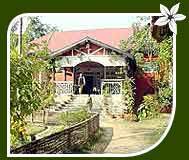 Assam Type Cottage are the cultural tokens offering you explore unique culture of Assam. The resort has also a multi-cuisine restaurant offering numerous kind of delicacies. If you demand, the resort can also manage elephant and jeep safari, horse and elephant riding boating and corporate conferencing. 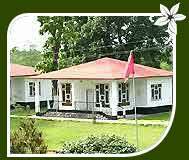 Located just 3 km away from famous kaziranga Park, Aranya Tourist Lodge is an 7 acres lodge with beautiful surrounding. The resort is originally managed by Assam Government and offers all modern leisures and comforts to its clients. Aranya Tourist Lodge has well-furnished 20 rooms and 4 cottages with modern accessories and facilities like attached with toilets and bathroom running cold and hot running water and 24 room services. Other facilities offered here include a restaurant, laundry and running hot water. It also arrange recreational activities and entertainment programmes for its guests on demand. 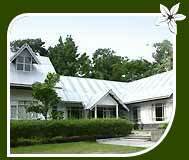 Bonhabi Resort is the most nearest resort to the main gate of kaziranga national park. It will take just one minute walk from resort to enter in Kaziranga Park- the land of Indian rhino. Bonhabi Resort provides hospitable accommodation and quickest access to the park. Bonhabi Resort is equipped with all modern amenities and conveniences. The resort has 12 cottages with attached toilet and bathroom including showers running cold and hot water facilities. 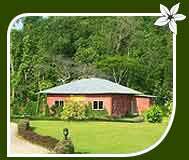 The cottages also offer views of tropical rain forest and paddy fields in the park. It has multi-cuisine restaurant where you can savour Indian, Chinese and Continental foods. On the demand of the guests, the resort also provide elephant and jeep safari inside the park.